Covering the costs of a spinal cord injury is impossible for most families. According to The Christopher and Dana Reeve Foundation, high tetraplegia costs more than one million dollars in the first year, with injured victims paying an average of $171,808 in each subsequent year. The Foundation further reports that a 25-year-old injury survivor can expect to incur between $2 million and $4.5 million in expenses over a lifetime. Spinal cord injury survivors do not have to cover these costs alone. Taking careful stock of your resources, enlisting the assistance of a zealous advocate with knowledge of forms of spinal cord injury compensation, and seeking legal assistance when you need it can help you and your family recover from a catastrophic injury. Caregiving costs. If a family member cares for the injury survivor, that family member may experience a loss of income. If the family opts instead to hire a professional caregiver, families can expect to pay between $15 and $25 for every hour of service they seek. Loss of income for the injury survivor. An injury can reduce or eliminate a survivor's earning capacity, necessitating a significant shift in family finances. Unexpected medical costs. Transportation, lodging, and meals when the family or injury survivor must travel to and from medical care. Long-term medical costs. 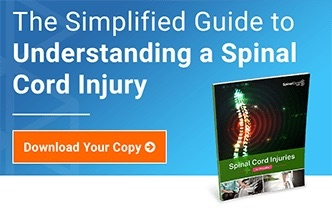 Spinal cord injury survivors are vulnerable to subsequent medical issues, such as bladder infections and bedsores, and these expenditures can quickly produce a hefty bill. Alternative medical treatments. Many spinal cord injury survivors pursue alternative treatments, such as massage, chiropractic care, and acupuncture. For spinal cord injury survivors who have health insurance, the Affordable Care Act ensures that insurance has to cover a significant portion of the bill. Moreover, those without insurance can't be denied coverage simply because of the injury. Your insurer can, however, require that you first pay a deductible. And while your insurer cannot place a cap on your annual or lifetime coverage, your insurer doesn't have to cover all services. For instance, if your doctor cannot show why a more expensive test is necessary, your insurer may decline coverage. Over time, these expenditures can add up. Even a few hundred dollars every month can become a massive bill over time. Employee assistance programs, which may cover a portion of your recovery or rehabilitation costs. Financial assistance programs at your doctor or medical provider's office. Some providers offer discounts for patients who pay in cash. Others offer payment plans or assistance programs. Scholarships. If you need training to start a new career and support yourself, thousands of organizations offer scholarships. Begin your search for educational funding assistance at the Federal Student Aid website. 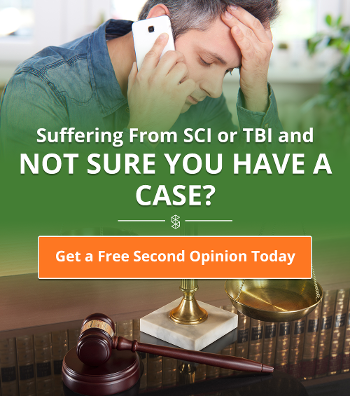 Many spinal cord injury victims are reluctant to take legal action, and this reluctance is understandable in a world where lawsuits and lawyers are often derided. Legal action, though, is often the best way to get your injuries covered, particularly if an organization with an insurance policy—such as a sports organization, school, or large business—is responsible for your injury. Most injury lawyers will take your case on a contingency basis, which means you will not have to front legal costs. Once your lawsuit is filed, the other party may opt to settle the case to reduce their litigation expenses if your case is sufficiently strong. Your lawyer should advise you about the estimated value of your case. Carefully weigh whether the settlement is adequate to cover your long-term expenses; simply getting a large figure is inadequate. A hundred thousand dollars can sound like a lot of money right now, but is it rally enough to support you through a lifetime of recovery? If your case does not settle, it will go to trial, where a jury will decide how much compensation you are entitled to. You may get a monetary award for your damages (including medical expenses, lost wages, and pain and suffering), costs and attorneys fees, and even punitive damages if the other party's actions were particularly egregious. A suit against the responsible party isn't your only option, though. Spinal cord injury victims face a host of legal problems, most notably discrimination. Laws such as the Americans With Disabilities Act empower you to sue if you are fired or otherwise discriminated against because of your injury. 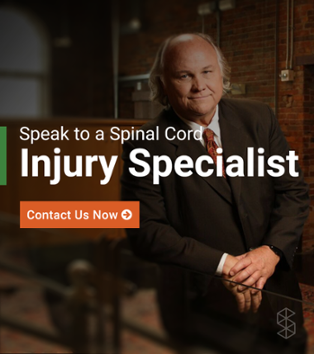 Only a lawyer can properly advise you as to the specific value of your case and the compensation rights to which your spinal cord injury has entitled you. Statutes of limitations can foreclose a lawsuit if you wait too long, so the time to act is now.